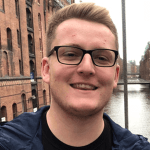 Josh Waudby (@Josh_Waudby) previews Man City v Cardiff and provides us with his best bets for this midweek clash by analysing team news, potential line-ups, head-to-head, key stats and facts and more. City come into the game with 7 league wins on the bounce, and 11 in all competitions. They haven’t suffered defeat since the 2-1 loss to Newcastle at St James Park, which ironically many thought would give Liverpool all the ammunition they needed to wrap up the league which has proven to be quite the opposite. City clearly knew any more losses could have huge complications in their attempt to retain the title and have kicked on since this defeat. They come into this tie after a 2-0 win at the weekend, in which they really could have come out victorious by 4 or 5 goals on another day against an extremely poor Fulham side. Cardiff players, fans and manager alike will be furious after their match on Sunday against Chelsea. Cardiff led straight after the break after Camarasa broke the deadlock which the bluebirds held onto until the 84th minute when Azpilicueta scored the equaliser, despite being at least 3 yards offside. The controversy then continues after Zohore raced through on goal and was taken out by Rudiger who was then only shown a yellow in what looked to be one of the clearest red cards of the season. Chelsea then went on to break Cardiff hearts by wrapping up all 3 points thanks to a wonderful header from Ruben Loftus-Cheek. Cardiff boss Neil Warnock made his thoughts vividly clear after full time and in the post match interview. This game comes at the complete wrong time for Cardiff. Had they won at the weekend against Chelsea the players would have been gleaming with confidence, however it will now be quite the opposite and will be interesting to see how they respond. Manchester City will be keen to put their stamp on the game early doors and wrap up another 3 points to put themselves ahead of Liverpool at the top with important fixtures in the Champions League coming up alongside the Title race. City are still without substitute keeper Bravo, aswell as utility man Delph. Although Mendy is still not 100% match fit, he is likely to be in with a shot on the bench or failing that a return in the very near future. Despite this Pep has made it very clear his squad will be regularly rotated to keep players fit in the run in to the end of the season, with City still present in all competitions. Cardiff are missing hard man Sol Bamba, aswell as Callum Paterson after he came off early during international duty for Scotland. The sides have met 4 times over the last 6 years in which City have won 3 and Cardiff with just the single victory. Historically Manchester City’s record against Cardiff is W22 D20 L9. Cardiff actually beat City in 2013 in a 3-2 home victory. Surprisingly midfielder Gunnarsson was on the scoresheet there, who still remains a key feature to their squad 5 years on. Camarasa for Cardiff has scored in two consecutive matches for the first time in his career and has 3 goals against top 6 sides this campaign. City have won with a -1 handicap in in 12 of their 15 home wins. The game is obviously hard to find value, given City are going off at 1/12 and a Cardiff win is not even imaginable. Although they have looked stronger and gave a great account of themselves against Chelsea, but Manchester City is a completely different game especially away from home. It is likely that City will be without star man Aguero, and I would expect that to give a start to Jesus. However he’s as low as 4/7 to score anytime so even that isn’t a viable option so I’m taking a punt on the correct score market. 2-0 looks a good play for me here. Aguero scores a lot of City’s goals so without him playing I can see a slightly harder game for the Blue’s. City have recently been a lot more cautious with their play too shown by their much narrower victories than previous such as 2-0 against Fulham last time out, 1-0 v Bournemouth a few weeks ago and of course the narrow 3-2 victory against the Swans in the FA Cup. Another Market I like for more of a confident bet is City to have at least 1 corner in the first 10 minutes. This landed in their previous game away at Fulham, in which they actually had 4 corners inside the first 10 minutes. For them to repeat the feat you can actually back over 3 corners again at a huge 40/1 (for the more ambitious amongst you). City to tend to fly out of the blocks which also supports the corner bet.